Bruno Herrmann is the former Director of Globalization at The Nielsen Company. 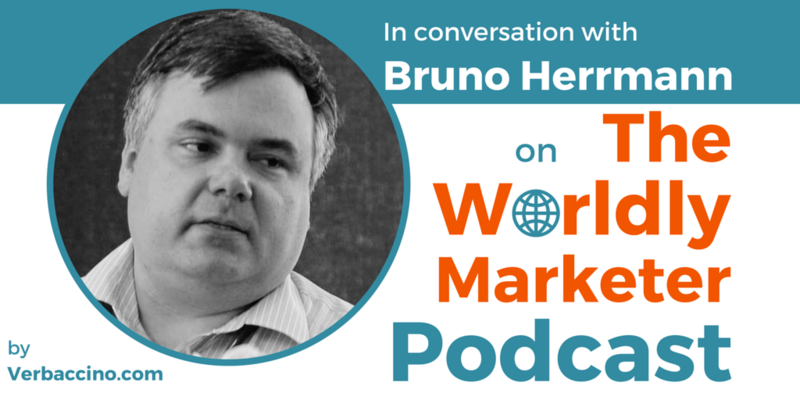 I first introduced him to listeners of The Worldly Marketer Podcast on episode #TWM010: How Simplicity Spells Success in the Age of Digital Globalization. Digital is global by nature, not by default. There is no great local experience without global excellence. The rest of the world is most of the world. With his a passion for taking up challenges at the crossroads of product, content and technology in the digital age and around the world, Bruno has become one of the industry’s best-known thought leaders.